Here you will find a selection of publications by the UKSRG. Slip and trip accidents can be serious and extremely costly – both for building owners and managers and for the victims themselves. Solutions are often simple and implementing an effective cleaning and maintenance programme is usually a cost-effective way of significantly reducing the risk of slips on floors. 300,000 hospital admissions each year are from stair accidents – This UKSRG document is for any person or organisation involved with the design, specification, construction, installation or maintenance of internal stairs. It gives professional guidance on features of stair safety and has supporting references for further reading. Find members who can help you with a range of professional services related to slips, trips and falls. 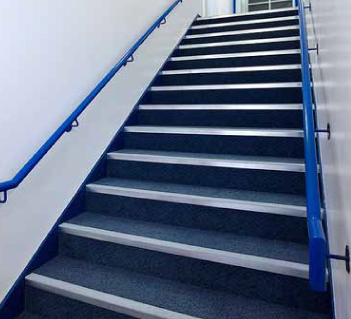 300,000 hospital admissions each year are from stair accidents – This UKSRG document is for any person or organisation involved with the design, specification, construction, installation or maintenance of internal stairs.